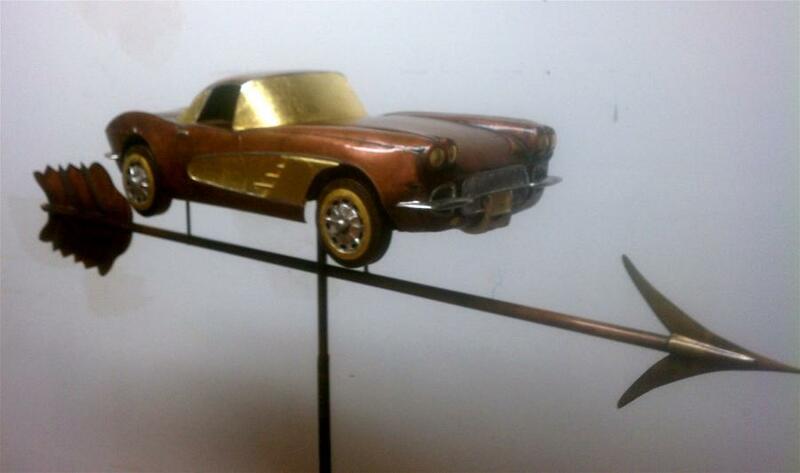 A 1960 Corvette, modelled in hand formed copper, with 23 carat gold accents. Corvette weathervanes are a thing, Google the phrase and you will see that everybody wants one. That said, only one person gets to have the best Corvette weathervane. 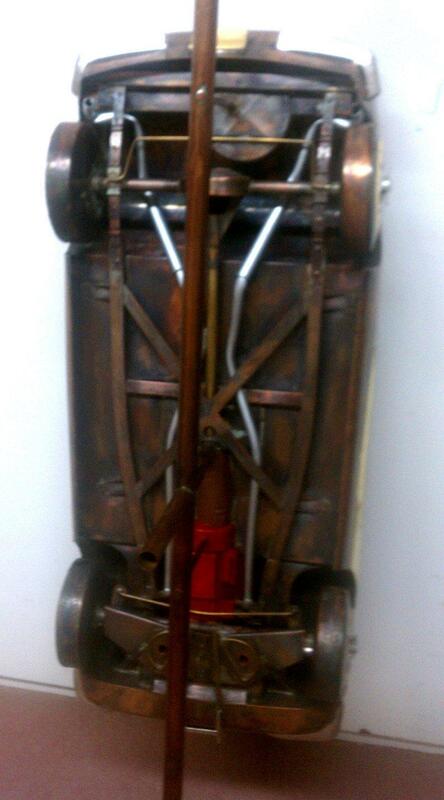 The customer for this full bodied 3 foot model (5 foot arrow!) has earned the honor, as his barn houses 16 vintage Vettes. The material is hand formed copper, treated to give it a warm aged color and highlighted with 23 carat gold leaf! Check out the undercarriage detailing! It looks ready to drive away, and become Vette #17. Maybe the owner already has a copper 1960 (?) Vette, and this one can stay right where it is, on top of the barn cupola, heading into the wind. Detailed undercarriage to the 3 foot long model Corvette. List of Custom Weathervane Specialists. This entry was posted in Fine Art and tagged New York, Weathervanes. Bookmark the permalink.